Self-regulation is the ability to achieve a “just-right” or appropriate level of alertness in order to be able to complete your daily routines. At times, you are in a state of low arousal. An example of this might be that you’re in a boring meeting or class, you start to feel yourself get sleepy and your mind is drifting off, but you know that the information being reviewed is very important and that you need to pay attention. So, you instinctively know that you need to increase your arousal level to be “just-right”. In order to focus, you may start to do some things such as jiggle your foot, twirl your hair, or pop a piece of gum into your mouth to chew. At other times, you may be in a state of high arousal. Here is an example of that: It’s the holidays and you go to the mall for a few errands. It’s loud, people are pushing and shoving to get their bargains. You can feel your heart start to race and your blood pressure rise. You realize that you are getting overwhelmed, overstimulated and you need a moment to calm yourself down to the “just-right” level so that you can focus on what you need to accomplish. You see an empty chair by the mall’s water feature. With relief, you sit down, put your ear buds in with your favorite relaxing music and watch the water rush over the rocks in front of you for a few minutes while you feel your heart go back to a normal pace. You are now able to relax and focus to form a plan as to how to get your errands done most efficiently. Being able to figure out what our body needs to perk up or calm down to be at the “just right” arousal level to complete our daily routines is something that comes naturally to many of us. Each of us is slightly different in what types of sensory stimulation we prefer to calm us or alert us. Sensory information includes the types of sensations that many of us think of such as sight, sound, touch, taste, and smell. Two other senses that help us find our “just right” state that many people don’t often think of are the sense of movement (vestibular) and the sense of pressure (proprioception). Most of us do what we need to get into our “just right state” without much conscious thought using input from these senses. Some people, especially children, whose neurological systems are still maturing, or those that have delays in maturation may have difficulty finding ways to get their bodies to maintain this “just right” state. This difficulty maintaining the “just right” state may be expressed as difficulties with behavior, emotions or motor difficulties. The behavior and skills of these children may seem inconsistent. Hypo/under responsive (Poor Registration): These children require high intensity input to respond. 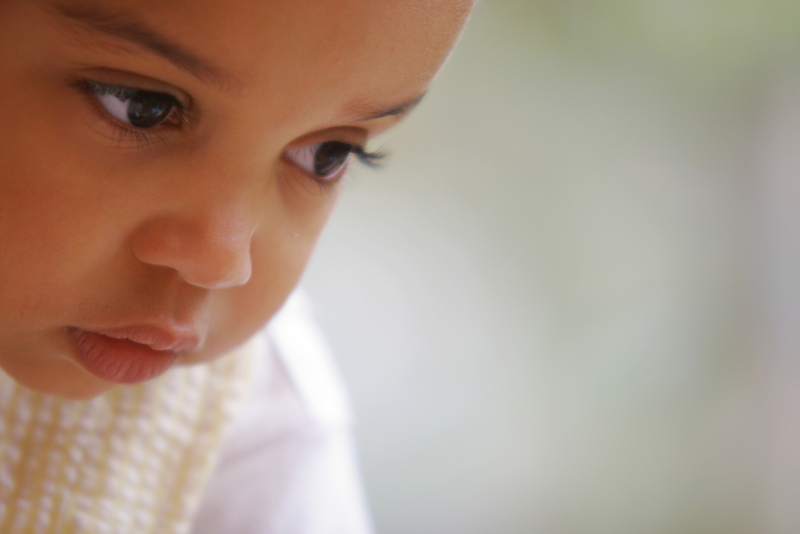 Some behaviors you may notice in these children are that they are quiet or withdrawn. These children may seem to have a limited range of play. Sensation Seeking/Impulsive: These children are often described as dare devils. They seem as if they can’t get enough sensory input and may be seen as impulsive or aggressive. Hypersensitive (Fearful/cautious): These children may be overly sensitive to sensory input and react by being fearful or anxious. They may be clingy. Hypersensitive (Negative/Defiant): These children may be overly sensitive to sensory input and react by seeming to be stubborn or needing to control things in their environment. These are very general descriptions. If you feel that your child may display some of these behaviors, or that their behavior seems to be very inconsistent, you can seek out an evaluation by an occupational therapist trained in treating children with sensory processing disorders. If the therapist feels that your child needs help to maintain their “just right” state, they may help by creating a sensory diet. The sensory diet will help provide your child with the types of sensory information that they need, when they need it in order for your child to maintain their “just-right” level of alertness so that they can more easily complete their daily routines. Many parents have inquired with our “Ask a Therapist” feature about self regulation and their kid’s development. You can read those Q&A responses here and here. Florez, Ida Rose. “Developing Young Children’s Self-Regulation through Everyday Experiences.” Young Children July 2011: 46-51. Print. Harper, Julia. Practical Sense in Sensory Integration. Lecture conducted through Therapeeds. Minnesota Association for Children’s Mental Health. Regulation Disorder of Sensory Processing. Early Childhood Mental Health Fact Sheet.